Raw unprocessed honey from organic farms with all its natural beneficial properties. Naturally creamed. No antibiotics or chemicals used. Comb cut straight from the hive, 100% edible, how honey used to be sold. Raw honey encased in wax. No antibiotics or chemicals used. Crayons made from Victory Bees wax and natural pigments. Nontoxic. Hand-dipped beeswax birthday candles. Made from Victory Bees wax. Packs of ten. 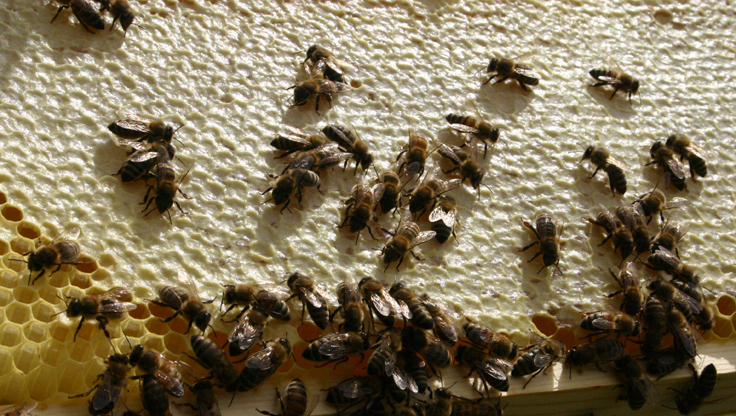 Victory Bees consultation service is available for a variety of situations, from helping beginning beekeepers get started to determining why established hives may have failed. Available at an hourly rate, consultations can happen over the telephone, e-mail, or on site. I will also be more than willing to answer your questions in person at the farmers’ markets.